At the head of each page is the image associated with the topic and then explanations and conclusions along with larger scale details where appropriate to clarify matters. The pages in this section are heavily populated with image files, so you may experience some slowness in the loading of the pages, especially if you are not using a Broadband connection. 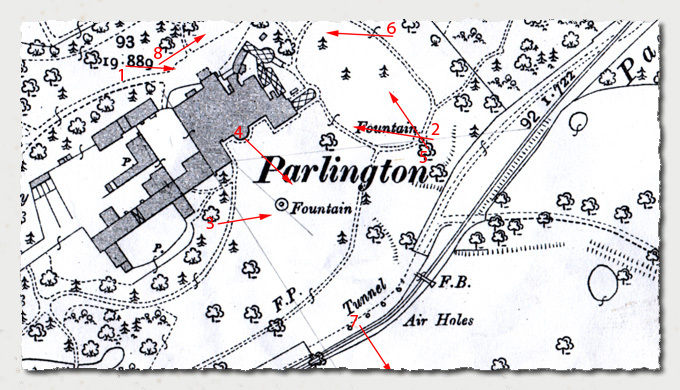 Where images have been take from the earlier version of the site, they have a colour band on the left edge, this helps to see the progression in any assumptions or opinions that have been stated in the evolution of the re-discovery of Parlington Hall.